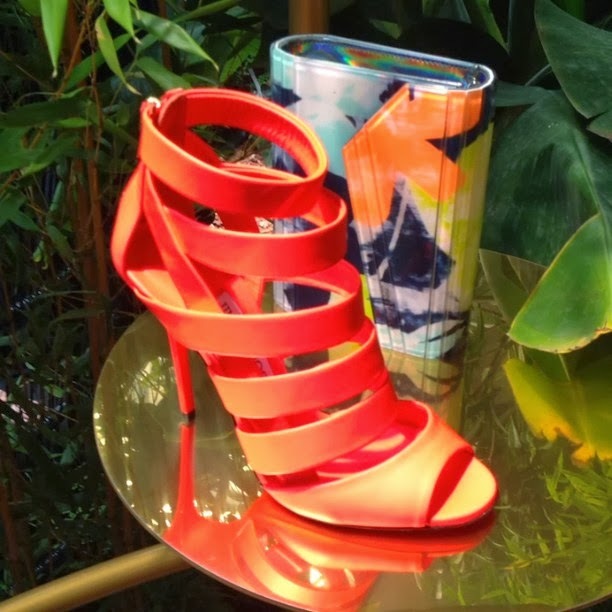 The heel is out of the bag and includes a teaser of what Jimmy Choo will be serving up for Spring Summer 2014. If you view the pics above you will see two very fun colored sandals that look fly, chic and comfortable. Keep your tangerine and mint green from this Spring ladies because you will be able to wear it again come 2014.